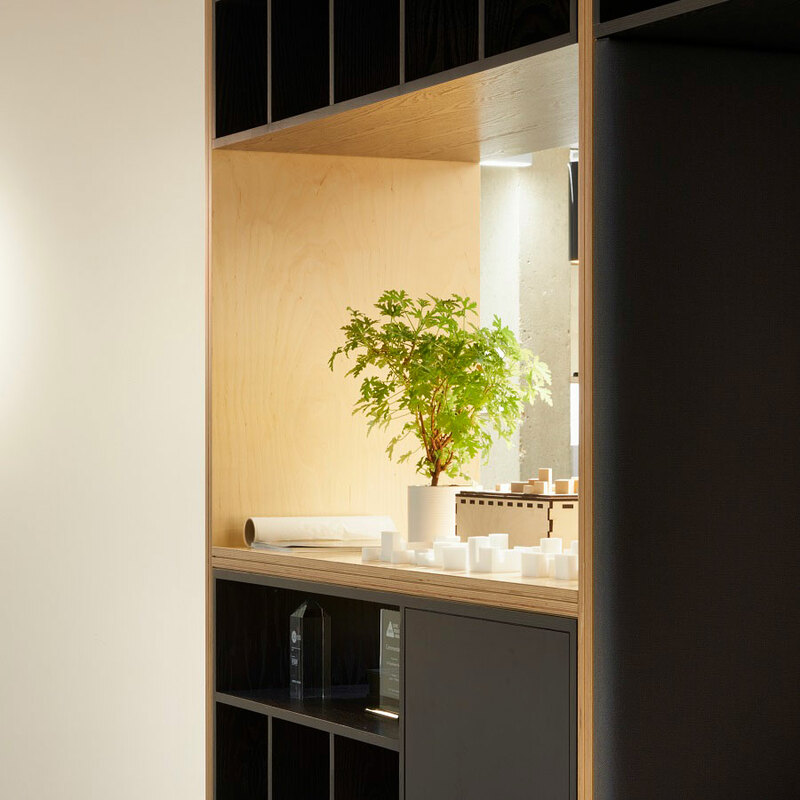 Jestico + Whiles are a design led international studio of architects and interior designers based in London and Prague. 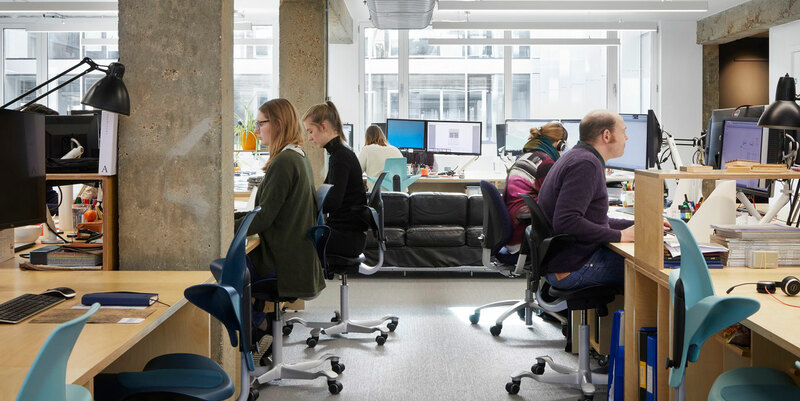 After outgrowing their previous UK offices, they relocated to the Clerkenwell District of London, revitalizing their working practices with a complete redesign of their new working environment. 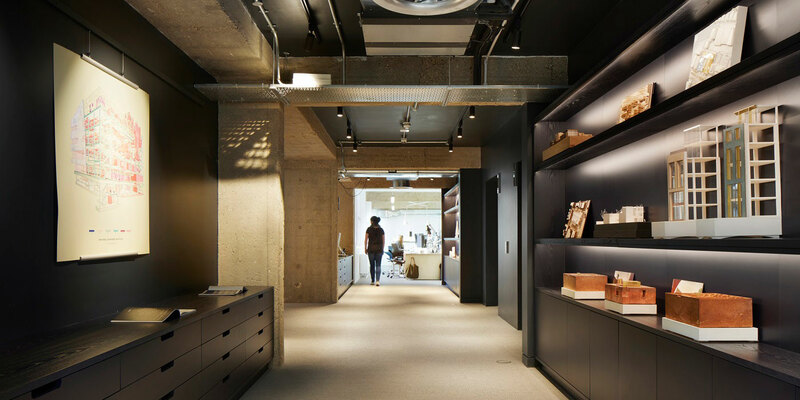 The new design studio is located in Sutton Yard, a fresh, light-filled and elegant upgrade of a concrete and brick 1960s office building in the heart of vibrant Clerkenwell. The office has become a showcase of Jestico + Whiles shared vision of the future, which relies on collaboration, flexibility and a desire to promote excellent design and an inspirational working life. The existing plan form has three distinct wings centred around an open central space. This enabled an arrangement of three working studios, with a flexible ‘town square’ at their heart used for meeting, eating, collaborating and presenting, as well as hosting events. 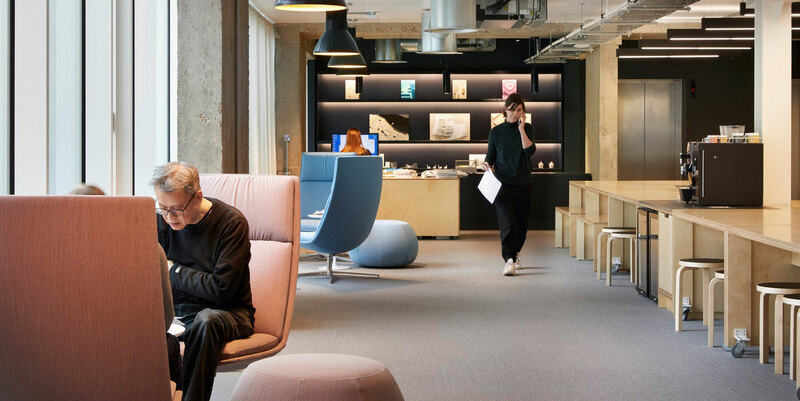 The firm decided to engage with more agile working practices and fewer desks than staff to facilitate open collaboration across the wide spectrum of design they are involved with, and to provide new flexible and social spaces for the benefit of all. Workspace is now allocated based on need, not status - an approach ingrained in their ethos as an employee-owned practice. 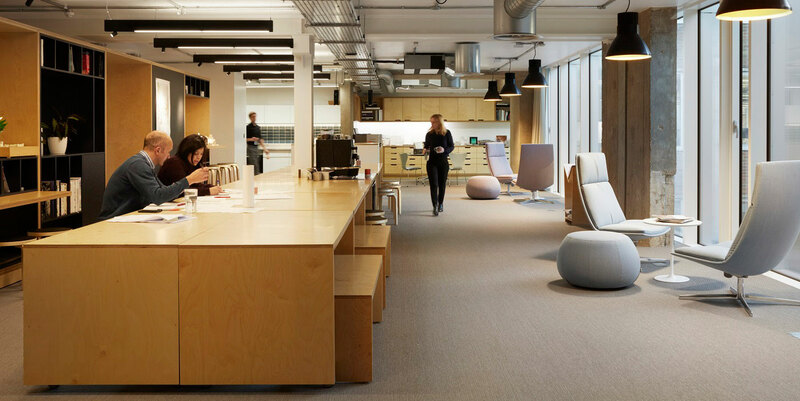 Dotted throughout the workspace are enclosed meeting spaces of assorted sizes, as well as private workspaces which offer a temporary retreat from the open-plan office if needed. A visible model shop and making bench allows designers to create models; crafting, testing, and prototyping in house. Specified throughout the office space is the HÅG Capisco. Alongside their appearance HÅG chairs were chosen because of the core principle of active sitting. 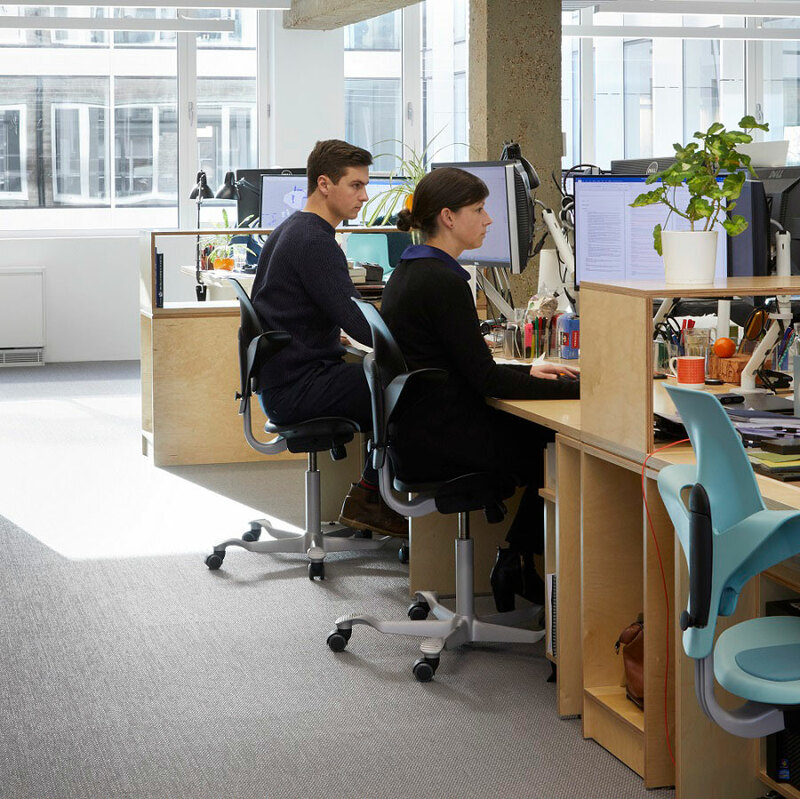 Jestico + Whiles reviewed and ultimately dismissed the potential for sit-stand desks, instead encouraging employees to remain active throughout the course of the day. They felt active sitting worked well with this approach.